Garver Huntsville employees (L to R) Courtney Tomberlin, Dana Pollock, and Jennifer Harp drop off supplies for the Kids to Love Foundation. 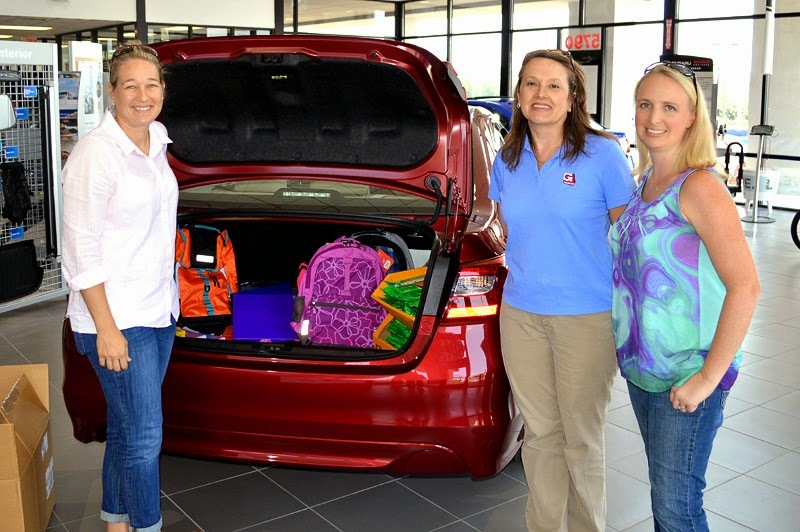 Garver’s Huntsville Team recently participated in a local drive to provide backpacks and school supplies for foster children in need. Through the Kids to Love Foundation Garver employees provided children with backpacks, crayons, pencils, paper, erasers, colored pencils, scissors, pencil boxes, notebooks, binders, glue and other necessary supplies. “It is a good feeling to know that these children will start the school year off on the right foot because of the involvement of our employees,” said Garver Administrative Assistant Peggy Bridgeman. The mission of the Kids to Love Foundation is to meet the needs of foster children while they wait for permanent homes. Since 2004, the Kids to Love Foundation has directly impacted the lives of more than 100,000 foster children. To find out how you can support Kids to Love, visit kidstolove.org.